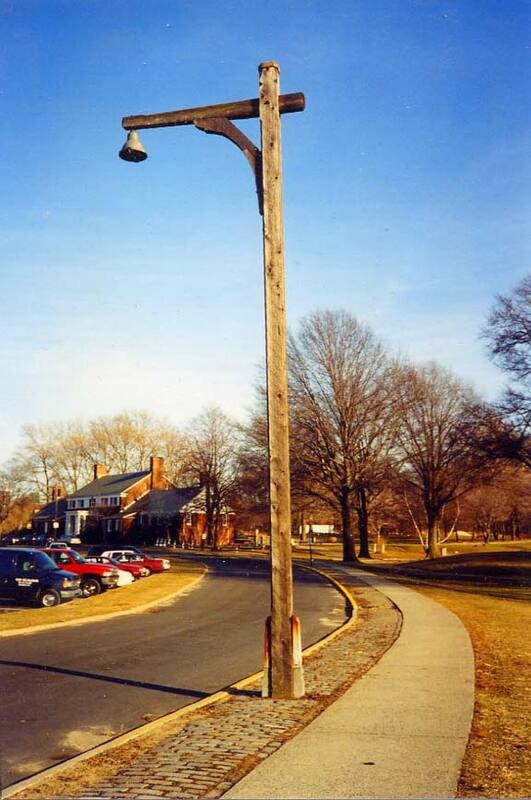 In 1999 I was taking a bike ride in Bayside, on the Cross Island Parkway service road a little west of the Clearview Expressway when I spotted three of four “Woodie” lampposts illuminating (or that had illuminated) the driveway to the Clearview Park Golf Course (whose golf cart paths, for some reason, are chronicled by Google Street View. That year, working Woodie posts had all but disappeared from the Belt Parkway, leaving only just a handful; in late 2016, just one remained within the city limits on a Belt Parkway service road in Laurelton but it too was in jeopardy. Thus, back then I was surprised to find a few of them here, left over, no doubt, from the days when the Cross Island featured them. Sort of like the Valley of the Dinosaurs! In any case, the golf course or the Department of Transportation replaced them in short order with a mix of aluminum octagonal posts and Type B park posts. “Comment…as you see fit” in Comments. Where are the termites (or beavers!) when we need them?